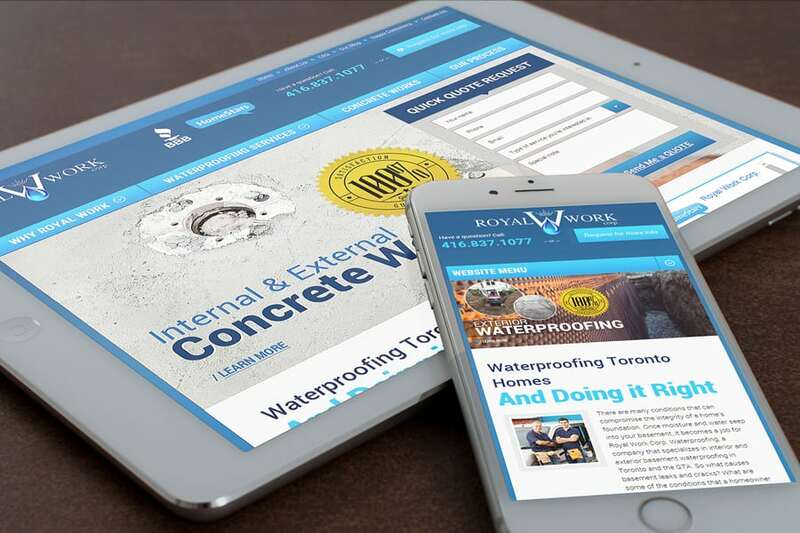 Royal Work is a small waterproofing and concrete company with a wide range of expertise. Convergine helped them redesign their site to support online marketing and a growing body of industry-related blog content. The result is a lower bounce rate, with visitors even returning and converting to online leads. 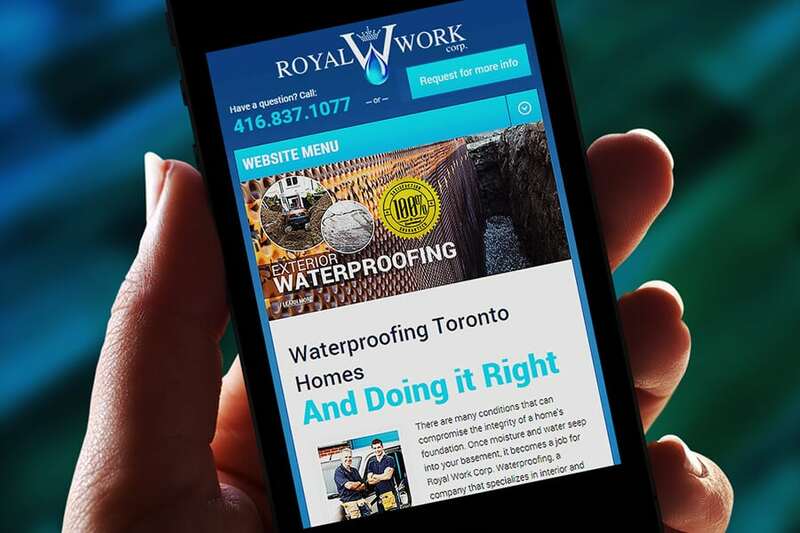 ONLINE MARKETING To better support Royal Work’s online marketing efforts, the new design incorporated social media buttons and prominent links to the company’s profiles on the Better Business Bureau and HomeStars websites. We also incorporated key search terms in an easy-to-use drop-down menu highlighting the company’s services. The result is a decreased bounce rate and a growing number of return visitors, indicating that the site is reaching its target market. LEAD CONVERSION A prominently displayed phone number and request form help convert visitors into leads. Further down the page, savings coupons link to the contact page to further drive conversion. Visitors can also take action by writing a review on HomeStars or flipping through the project gallery, both easily accessible from the right side of any page on the site. The result is a significant increase in the number of online leads. 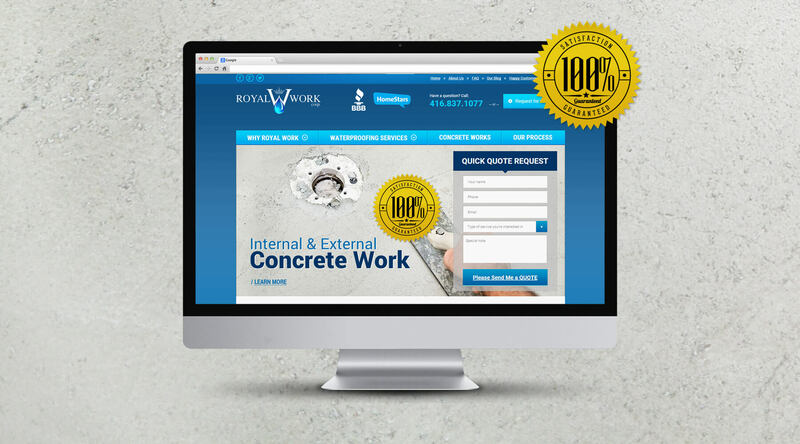 In addition to detailed descriptions of their many services, Royal Work maintains a blog of industry-related news, tips, and information. This growing body of content needed support from both the front and back ends. For the former, we provided a dynamic interface to sort, categorize, and display posts. 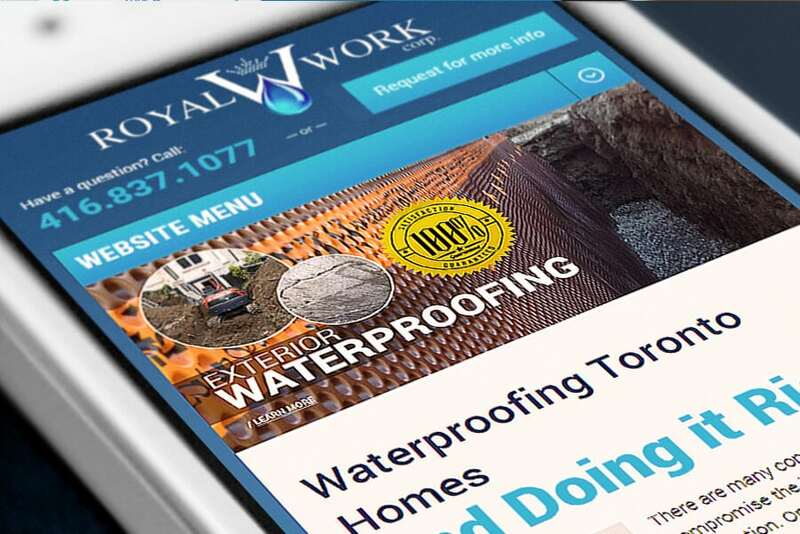 For the latter, we provided an easy-to-use, what-you-see-is-what-you-get (WYSIWYG) interface that allows Royal Work staff to quickly and easily post content whenever they want.